More Than A Mutha is all about championing women doing great things, and these women are doing just that. Many of these women will already be on your radar, but if they aren’t then now would be a great time to look them up. They are all working hard to help other women, mainly mums, in different ways. Natasha is a Mental Mutha, she will gladly tell you that herself. By being open about her mental health, she has encouraged other women to share their stories and experiences and is working hard to ‘normalise’ the way people talk about their own mental health online and off. The Mental Mutha interview features women who are probably perceived as ‘having their sh*t together”, but instead of sharing the perfect side of their lives, Natasha is expertly showing the actual daily grind that goes into surviving life, love, friendships, drama and motherhood. Mental Mutha is allowing us to see that even the most insta perfect mums, with the highest follower numbers, are dealing with the same issues that we are and making mental health something we can talk about openly, freely, even on Instagram where life is usually only shared it its most perfect form. Visit the Mental Mutha website for more information on where to find help with mental health issues, and to read interviews with some Mental Muthas (myself included!). Read Natasha’s #MoreThanAMutha interview here. Suzi is the founder of Pretty Witty Cakes, an online learning platform teaching all aspects of cake decorating, a far cry from her old life when she worked in law. Suzi quit her job because it was totally incompatible with family life and took a huge risk to set up her own business. Since then she has gone on to build a small empire, one which every cake maker across the world is aware of. Suzi’s ethos is that by teaching other women, mainly Mums, all about cake decorating from beginner stages right up to the most complex techniques, they too will be able to work from home, around their children. Suzi changed my life! That isn’t even an exaggeration! Back when she was based in Crowborough, West Sussex, I attended many of her classes and through her incredible teaching skills, and online tutorials I was able to learn enough to be able to teach cake decorating myself. Since starting up my own business, Enchanted Cupcakes, with the skills I learnt from Suzi and her incredible tutors from all over the world. I have taught over 500 women, and a handful of men, how to decorate cupcakes from the comfort of my own kitchen and been able to contribute to our household finances. Pretty impressive for someone who couldn’t even bake a cupcake before going to these classes! Visit Suzi’s website to see her amazing range of online tutorials, many of which are free to watch! Nic is the founder of Bandana Health & Fitness in Worthing, West Sussex. But she is a fitness instructor with a difference as she is also a cancer survivor, and one of the strongest women I know. Nicola, also a nutritional specialist, now works hard to help other women to get the most out of their bodies. She instills confidence from the minute you step into her studio and even in a group session, she focuses on the individual to ensure they are getting the most out of their time with her. Nic is also a specialist in cancer rehabilitation through exercise and works with women going through cancer treatments, helping them to be as healthy as they can in order to fight their way through their way to recovery. And that’s not all Nic does, she is also a co-founder of the Red Box Project Worthing, a project which ensures that no girl has to miss out on her education due to period poverty. Sara, AKA Me & Orla, is one of the leading ladies on Instagram as far as incredible imagery goes. A visit to her grid is like visiting an art gallery, go look, but take refreshments because you’ll be there a while. Sara is not keeping her skills to herself though, and is working hard to help other women to create beautiful photographs and learn how to use Instagram to it’s full potential so they too can earn a living on the platform. Her courses get booked up pretty much as soon as they go on sale, take a look at any of her past students Instagram accounts and you’ll see why! But Sara doesn’t keep all her Instagram inside secrets for her students, her podcast, Hashtag Authentic, is full of useful information and interesting conversation with other creatives, designed to help us all on the way to Instagram greatness. Sign up to Sara’s newsletter and each month you’ll get a fantastic delivery straight into your inbox guiding you through which hashtags you could be using to reach new audiences and in turn build your business. Mary is a life coach for mums, on a mission to empower mothers live a balanced, badass life! Her no bull approach is refreshing and spending a few hours in her company recently I could see how women would learn so much from her. Everyone needs a Mary Meadows in their life and you don’t need to be Brighton based to benefit from her wealth of knowledge and calm manner, although if you are then brilliant! Mary hosts online webinars so wherever you are in the world you can learn a wealth of skills from her, from goal setting to managing emotions. Mary recently joined forces with Natasha Bailie (above) and other Sussex entrepreneurs, to bring Self Care Sunday to life and gather groups of Mums together for a full day of self care workshops. Look out for the next one which will be in London soon. Anyone else think we should start a campaign to get Mary to have ‘Badass’ added into her name officially? Anna Whitehouse is more commonly known as Mother Pukka. Her instagram provides all the lols, her podcast is hilarious too but behind all the humour there is a really serious message and Anna is working tirelessly on the #flexappeal campaign. She is putting all of her efforts into creating awareness of the benefits of flexible working, for both individuals and companies alike. She states, this is a ‘human’ issue – it’s not about mums returning to work, it’s about all of us questioning how work is structured, and putting family priorities at the same level as our work ones. She speaks passionately about a time when her daughters will be able to have careers as well as having children, and is on a mission to persuade businesses across the UK to ditch the 9-5, bums on seats approach, and instead embrace flexible working to get the best workforce they can. Working with her husband Matt, aka Papa Pukka, she is making headway and the landscape does seem to be changing, slowly, so that hopefully the next generation of women / mums, won’t face such discrimination. If you ever get the opportunity to attend an event Anna is speaking at, go… you won’t be disappointed and will leave as a convert to the #FlexAppeal campaign just like I did! Nikki Cochrane and Kathryn Tyler, are co-fo’s of Digital Mums and provide online training to, you guessed it… Mums! They recognised there were many talented women being forced out of the workforce because they didn’t have the option of working flexibly. They are on a mission to get as many mums as they possibly can back into flexible careers. Their online training programme upskills mums in a fast growing skill sector and teaches them the social media skills they need to find brilliant flexible roles and their version of Work That Works. Digital Mums is different to other online courses, instead of focusing on theoretical learning, they kick-start your digital career and give you the confidence to go it alone by putting the emphasis on getting you job-ready. There are now over 1200 fully trained Digital Mums who are working flexibly, mainly from home in exciting roles that fit around their family. Even as employers, Digital Mums have embraced flexible working by having a fully remote team & knocking the archaic 9-5 desk policy on the head! Founder of Girl Tribe Gang, Catherine is a Strategist by trade, with a degree in Psychology. Her business, Bringing Sparkle Back is aimed entirely at transforming women to achieving full on ‘Disco Ball Sparkle’ in all sorts of areas of their lives. But Catherine found that working on her own was a pretty lonely and isolating place, with no ‘team’ behind you, no ‘sounding board’, no-one to share your successes or your challenges with and no Christmas Party! She recognised that feeling you are part of something, is a big part of reducing that feeling of isolation and contributes hugely to your overall sense of well being. So, having spent a lot of wasted time networking with groups/people who just aren’t the right fit for her, Catherine was inspired to start Girl Tribe Gang. She wanted to create a local, real life space where women support women, where women feel connected, where they can feel they can collaborate, where they can be encouraged and empowered and can grow in confidence and knowledge. She envisioned a space where like-minded women can feel part of something special, all backed up with an incredible online support network too. Girl Tribe Gang started in June 2017 with one tribe in West Yorkshire and now, less than 12 months later, is a growing movement with 25 tribes across the UK and a plan to increase that to 50 by the end of 2018/19. Tribe meet ups happen every month, at the same time (7.30pm-9.30pm) in stylish local venues across the UK. The ‘power hours’, are 30/45 mins of an expert coming and sharing their knowledge on a relevant subject. Tribe meetings promise no power point or awkward introductions. No sticky name labels. No eating in front of strangers. I often wonder whether Molly knew Selfish Mother would grow into the phenomenon it is now when she first started it in Brighton back in 2013. Molly has grown the Selfish Mother brand from a humble blogzine which launched with only 10 writers and now has over 2K contributors, including me, who share what they are really thinking about life. Selfish Mother’s #GoodTees were created with the simple idea that selling clothes shouldn’t just be about profit – they should do good, too! From the original MOTHER Tee – which Molly created in 2014 to support Women for Women UK – the #GoodTees brand has grown and The FMLY store has seen Molly donate over £800,000 to charities which support women across the world. If you don’t own a Selfish Mother T-shirt are you even a mum? 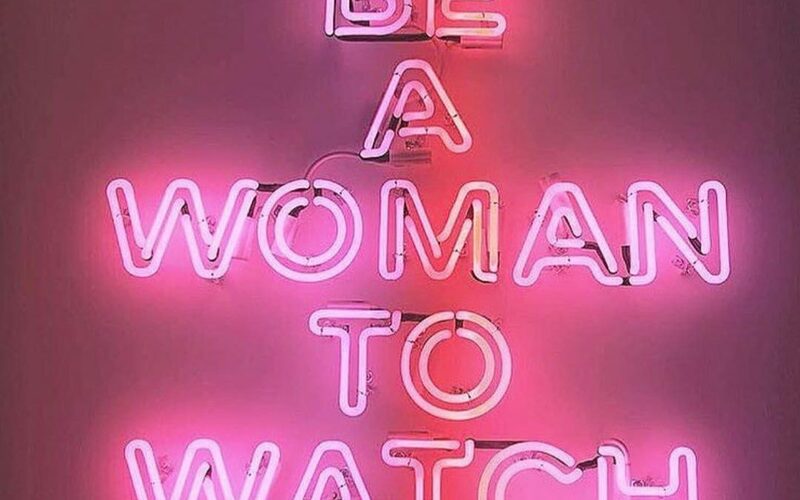 I’m interested to know which women you’d add to this list, who inspires you? Do let me know in the comments, either here or on my social channels.